RightPatient® is an innovative biometric patient identification solution that increases patient safety, reduces costs, and improves the quality of care. 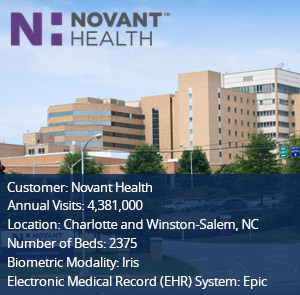 Used by health systems representing more than 860 sites that process over 33 million annual patient visits, RightPatient® seamlessly integrates with various EHR systems including Epic, Cerner®, McKesson, Meditech, CPSI, and more. The industry’s most flexible and effective biometric patient identification solution, RightPatient® helps prevent duplicate medical records, eliminates medical identity theft, and increases revenue cycle efficiency. Many hospitals are implementing biometrics for accurate patient identification to increase patient safety. Achieving accurate patient identification in healthcare necessitates implementing biometrics at each and every patient touchpoint along the care continuum such as kiosks. Inaccurate patient identification and patient data matching creates risks to patient safety when there is a mismatch between a patient and components of their care, regardless whether the components are diagnostic, therapeutic, or supportive. The inability to accurately identify patients and match their data to a clinical intervention continues to result in medication errors, claim denials, transfusion errors, medical identity theft, healthcare fraud, and diagnostic testing mistakes. 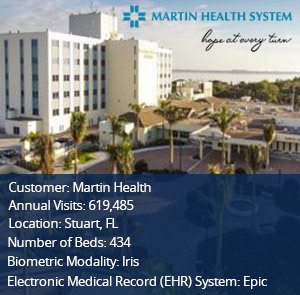 The ability to link a patient’s biometric credentials to a unique electronic health record (EHR) Eliminates creation of duplicate medical records and overlays, prevents medical identity theft and fraud by prohibiting one patient from assuming another identity. Supports multiple forms of biometrics (iris, fingerprint, palm vein, facial recognition) Provides flexibility to choose a patient identification hardware device best suited for a healthcare organization’s unique patient population; allows multiple biometric modalities to be used within the same network. Biometrics presents an effective solution to the problem of inaccurate patient identification when implemented as a safeguard to protect identities at every touchpoint along the care continuum. In other words, leveraging the use of biometric patient identification is a smart idea at the point of patient registration but most effective when a solution is deployed that has the utility and flexibility to secure accurate authentication at any moment along the care continuum. 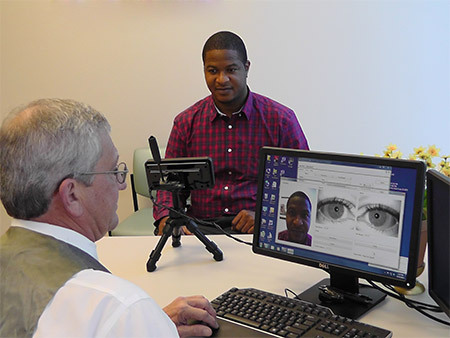 For example, a hospital that implements our RightPatient® biometric patient identification platform using iris recognition captures a patient’s photo at the point of registration. 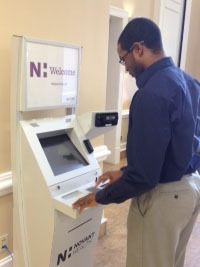 Using iris recognition, a patient’s identity is positively confirmed at registration and then through the use of facial recognition biometrics, that photo can be used as an individual authentication credential for patient portal or mHealth app logins – demonstrating that a patient’s biometric credential can be leveraged for secure access to data or care services that may not be delivered in a physical hospital setting.